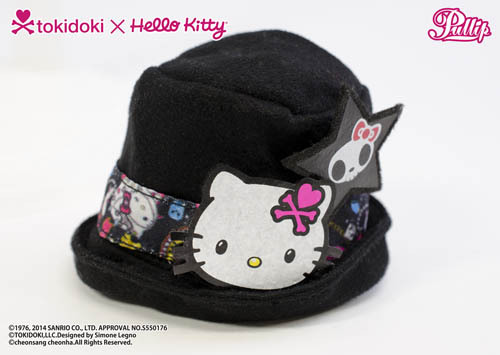 Hello Kitty x Tokidoki x Pullip Collaboration Announced! Groove announced another doll release named Violetta for April (May for us in the US) via their blog this morning. 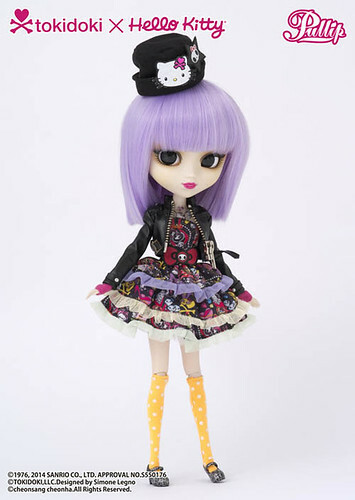 Violetta is a collaboration between Pullip, Tokidoki and Hello Kitty (Sanrio). Tokidoki is a lifestyle brand that debuted in 2005 and was created by Italian artist Simone Legno. A wide variety of items featuring Tokidoki artwork have been released over the year everything from clothing to skateboards to purses. 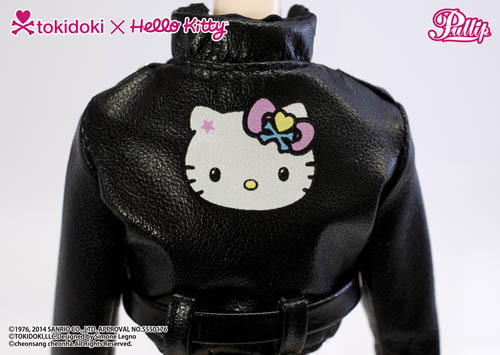 Hello Kitty was created by Sanrio and is popular with young and old alike, countless merchandise featuring her has been produced over the years. 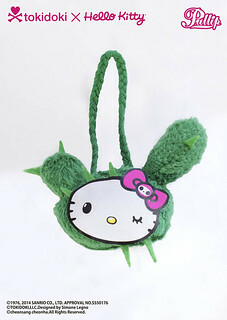 Hello Kitty and Tokidoki have collaborated together for years to release products such as purses/clothes featuring both Hello Kitty and Tokidoki designs. 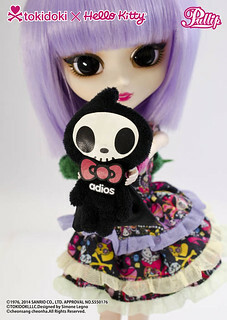 Previously Groove has collaborated with Tokidoki to release two Pullips: Luna and her recolor Lunarosa. Groove has also collaborated with Sanrio in the past to release two Pullips Hello Kitty and My Melody and two Dals both based on Cinnamoroll as well as some mini dolls. The potential for this triple collaboration release has been there for a while and I should have seen it coming though I never could have predicted how absolutely gorgeous the end result would be. Violetta has a MSRP of 16000 yen and is due out later this month in Japan which is kind of short notice. I love her stock outfit, I keep going back and forth about the yellow socks they are adorable but might not be the best choice for coordination with the rest of the outfit maybe they should have the dark pink with yellow polka dots instead. I still think she is utter perfection even if the socks aren’t the best match. There is a seriously cute dress lurking underneath that jacket. It looks like Groove put a lot of effort into their promotional photos for Violetta, nice promo photos always make it easier to decide if a doll should come home or not. From what I can see, I love her face up I’m really glad it’s not just another recolor of Luna/Lunarosa. In general it seems like a lot more effort was put into designing her than Lunarosa. I really do love the color palette they chose for her face up/wig her lip color is divine and it’s been ages since we’ve had a girl with purple hair. Close up of the dress, I love the pattern! If it were life-size, I would totally own and rock this coat it’s just the right mix of super cute with a bit of an edge on it. 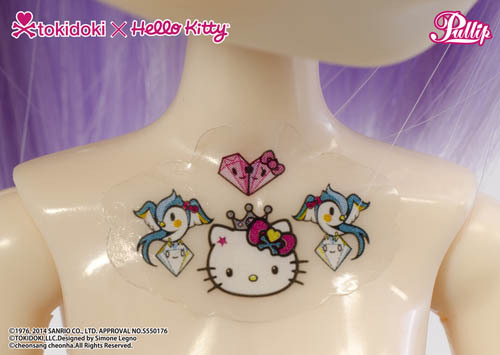 Like the previous two Tokidoki releases Violetta will come with tattoos, they come on a sticker sheet so you get to choose placement yourself as well as potentially spread around the tattoo joy if you so choose to. A limited edition version of Violetta will also be available, she has a MSRP of 20000 yen and will only be available via official Groove shops. 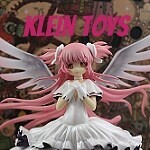 The doll itself looks to be the same as the standard release but she will come with three additional accessories. I’ve got to admit that is a pretty cute purse though I’m a bit surprised she doesn’t come with a purse in the first place as the previous two Tokidoki collaborations have both come with purses standard issue. 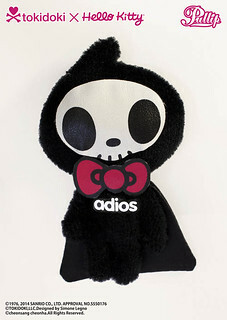 Plushie of Tokidoki character Adios, looks pretty cute at least. 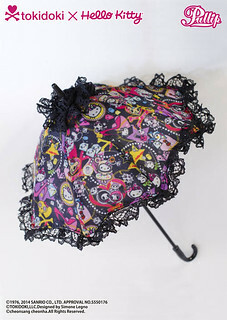 I’m kind of a sucker for parasols and this one is super adorable, the parasol alone is almost enough to make me spring for the LE version. Verdict She is an absolutely gorgeous release, I think she is going to be the IT girl/essential Pullip release of the year, plus with her being a collaboration with Tokidoki and Hello Kitty a lot of fans of those brands (non-Pullip collectors) will likely be getting her so I would not hesitate on getting her as I think she has the potential to sell out really quickly. I’ve definitely got to get my hands on her somehow. 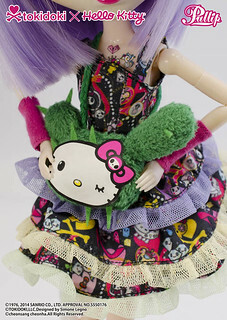 This entry was posted in Doll, Pullip and tagged hello kitty, Pullip, sanrio, tokidoki, violetta. Bookmark the permalink. 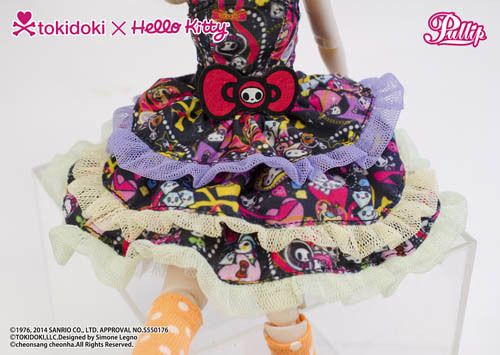 8 Responses to Hello Kitty x Tokidoki x Pullip Collaboration Announced! I imagine JPGroove in the US should be able to offer the LE version based on their past offerings of Official Groove shop things, I’ll try to drop a note on here when I get more details about her release. No problem, Shinku 2014 should be up sometime tonight or early tomorrow. Thanks, I try to keep things as up to date as possible! wow… that is an absolutely gorgeous pullip. 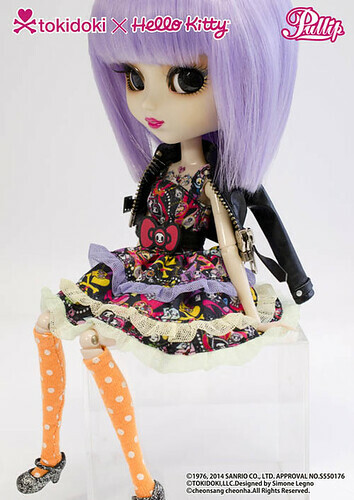 I think you are 100% correct about her being the must-have pullip of this year so far. I definitely see Violetta being one of the more popular dolls this year, something about her reminds me of Prunella who ended up being pretty iconic. I saw this on the PUDDLE Facebook page and thought someone was pulling my leg. This is cuteness overload!